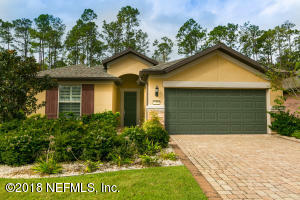 Why wait to build , move right into this 55+ Del Webb Ponte Vedra home only 5 miles to the beach. 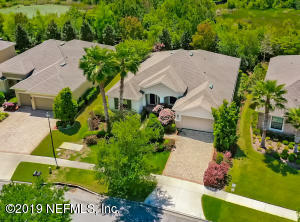 3 bedrooms/3 bath, large bonus and study on cal-de-sac lot with water views from the front and private wooded preserve views from the back. 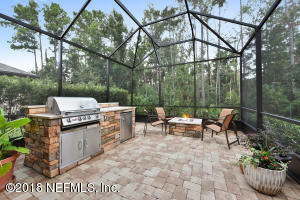 Peaceful outdoor living on extended lanai with summer kitchen and fire-pit for entertaining or just enjoy the serenity while reading, sipping coffee, or playing cards. Large private guest area (or flex) upstairs with a separate HVAC thermostat. Owners living can all be done on the first floor with large master suite, open great room, kitchen, study, guest room and 2 full baths. Stairs easy to navigate vs newer models. 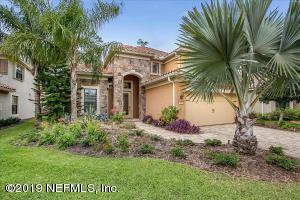 Golf cart friendly community of Nocatee with every activity and club you can imagine,.Exclusive Beach Club Membership see doc section. Extraordinary Estate Dunwoody Trail offers an open versatile floor plan with plenty of room for relaxing and entertaining. 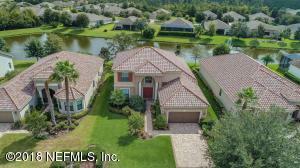 Private and tranquil Enjoy the Extended 20x14 screened Lanai with a 10 x 5 jetted water feature with waterfall overlooking the preserve and fenced yard. Lanai opens to 14x14 outdoor living space perfect for grilling.Additional features include: custom kitchen with GAS cooktop, master suite with expansive bath and walk in shower, den with french doors and wood floors, and 4 ft extended 3 car garage with epoxy floors, and plantation shutters.Live the dream in gated Del Webb 55+ active adult community in Nocatee located minutes from the beach. Fill your days with countless indoor and outdoor activities and events at the residents only Anastasia club! 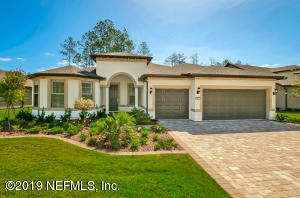 Welcome to gated 55+ Del Webb Ponte Vedra. 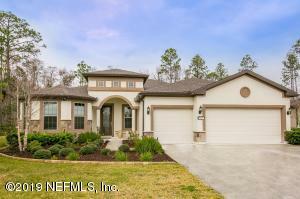 This Tifton model has a unique floor plan with 2168 sq. ft. of living space. 2 bed rooms , 2 baths and 2 other flex rooms that can be used for office , den, library and more. 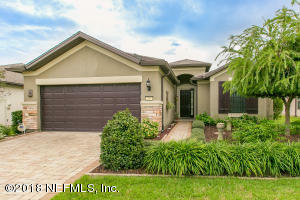 This home also has a sun room that opens to a large paver screened patio with preserve view. 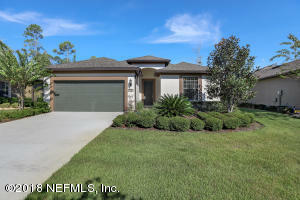 Open floor plan with many upgrades including: gourmet kitchen , granite counter tops , food prep island. 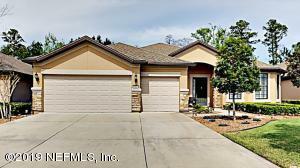 This home is also upgraded with ADA (American Disabilities Act). Zero entry front door, garage door and master shower. Owners also enjoy the 39,000 sq. ft. club house with full time activity director. Minutes from the ocean and shopping. A must see!